The Calcutta Flag was one of the first unofficial flags of India. It was designed by Sachindra Prasad Bose and unfurled on August 7,1906 at Parsi Bagan Square, Calcutta. The flag had three horizontal bands of equal width with the top being orange, the centre yellow and the bottom green in colour. It had eight half-opened lotus flowers on the top stripe representing the eight provinces of India and a picture of the sun and a crescent moon on the bottom stripe. वन्दे मातरम् Vande Mataram meaning “I do homage to the mother” was inscribed in the centre in Sanskrit. Indian nationalism refers to the many underlying forces that defined the principles of the Indian independence movement and strongly continue to influence the politics of India as well as being the heart of many contrasting ideologies that have caused ethnic and religious conflict in Indian society. Indian nationalism often imbibes the consciousness of Indians that prior to 1947 India embodied the broader Indian subcontinent and influenced a part of Asia known as Greater India. The Vande Mataram flag part of the Swadeshi movement against the British comprised Indian religious symbols represented in western heraldic fashion. 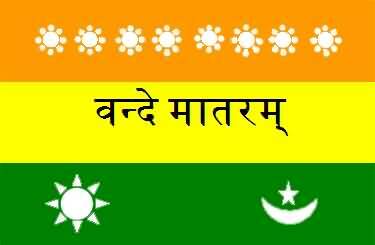 The tricolour flag included eight white lotuses on the upper green band representing the eight provinces, a sun and a crescent on the bottom red band and the Vande Mataram slogan in Hindi on the central yellow band. The flag was launched in Calcutta bereft of any ceremony and the launch was only briefly covered by newspapers. The flag was not covered in contemporary governmental or political reports either but was used at the annual session of the Indian National Congress. A slightly modified version was subsequently used by Madam Bhikaji Cama at the Second Socialist International Meeting in Stuttgart. Despite the multiple uses of the flag it failed to generate enthusiasm amongst Indian nationalists. The All India Home Rule League was a national political organization founded on april 1916 to lead the national demand for self-government termed Home Rule and to obtain the status of a Dominion within the British Empire as enjoyed by Australia, Canada, South Africa, New Zealand and Newfoundland at the time. Tilak founded the first League in the city of Pune, Maharashtra. With the League’s national headquarters in Delhi the main cities of activity were Bombay, Calcutta and Madras. In 1920 the All India Home Rule League elected Mahatma Gandhi as its President. In a year the body would merge into the Indian National Congress to form a united Indian political front. 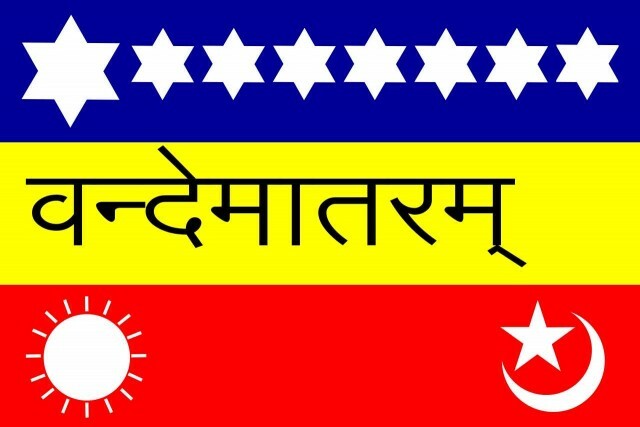 Annie Besant and Bal Gangadhar Tilak adopted a new flag as part of the Home Rule Movement. 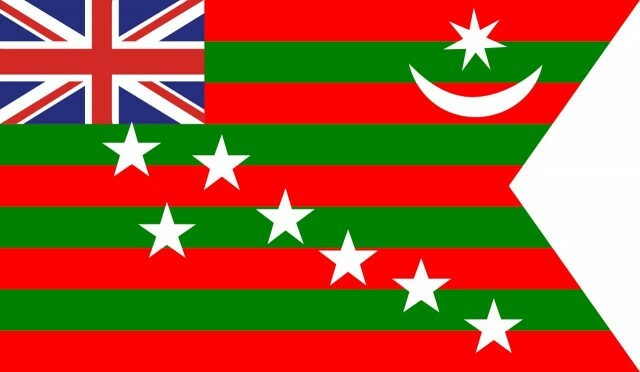 The flag included the Union Jack in the upper left corner a star and crescent in the upper right and seven stars displayed diagonally from the lower right on a background of five red and four green alternating bands. The flag resulted in the first governmental initiative against any nationalistic flag as a magistrate in Coimbatore banned its use. The ban was followed by a public debate on the function and importance of a national flag. 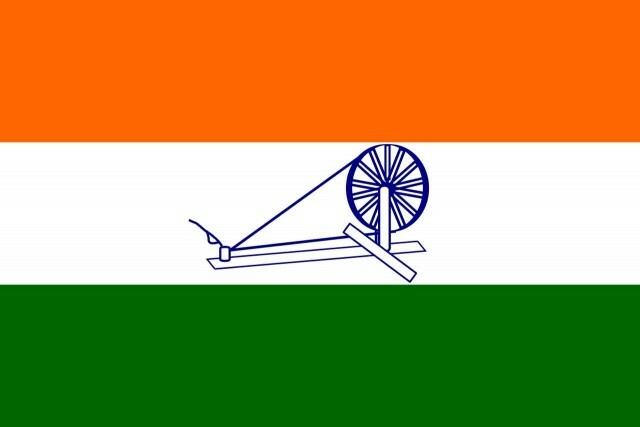 In April 1921 Mohandas Karamchand Gandhi wrote in his journal Young India about the need for an Indian flag proposing a flag with the charkha or spinning wheel at the centre. 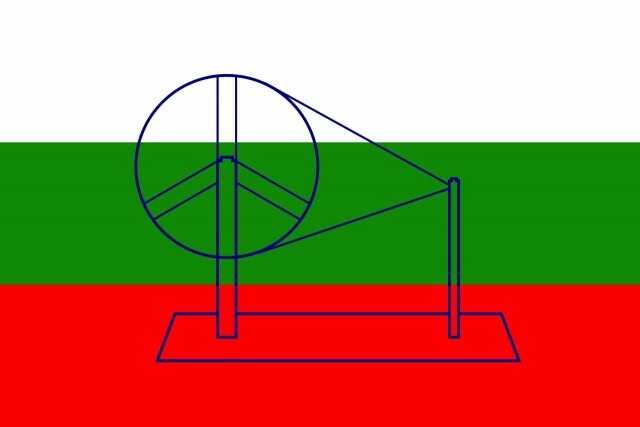 The idea of the spinning wheel was put forth by Lala Hansraj and Gandhi commissioned Suraiya Tayyabji to design a flag with the spinning wheel on a red and green banner the red colour signifying Hindus and the green standing for Muslims. Gandhi wanted the flag to be presented at the Congress session of 1921 but it was not delivered on time and another flag was proposed at the session. Gandhi later wrote that the delay was fortuitous since it allowed him to realise that other religions were not represented he then added white to the banner colours to represent all the other religions. Finally owing to the religious-political sensibilities in 1929 Gandhi moved towards a more secular interpretation of the flag colours stating that red stood for the sacrifices of the people, white for purity, and green for hope. 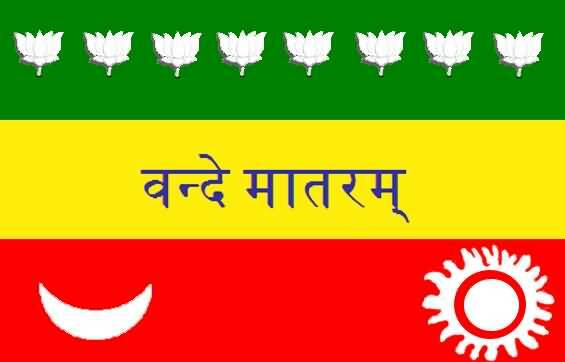 Detractors of the flag movement including Motilal Nehru soon hailed the Swaraj flag as a symbol of national unity. Thus the flag became a significant structural component of the institution of India. In contrast to the subdued responses of the past the British Indian government took greater cognisance of the new flag and began to define a policy of response. The British parliament discussed public use of the flag and based on directives from England the British Indian government threatened to withdraw funds from municipalities and local governments that did not prevent the display of the Swaraj flag.The Swaraj flag became the official flag of Congress at the 1931 meeting. However by then the flag had already become the symbol of the independence movement. 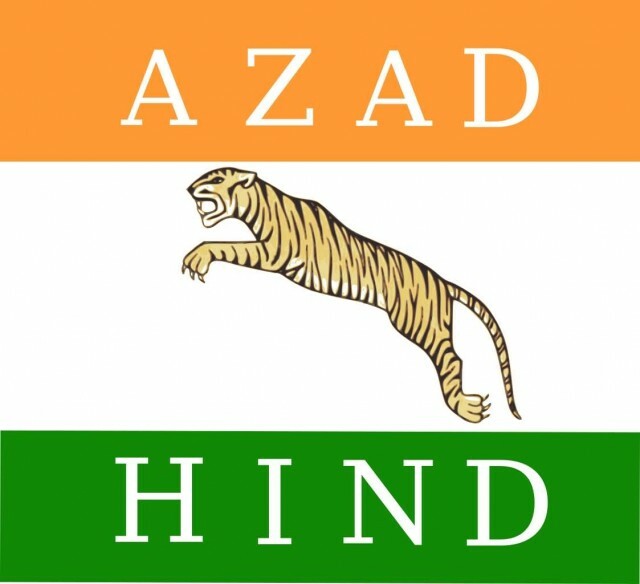 The Provisional Government of Free India or more simply Free India(Azad Hind) was an Indian provisional government established in Singapore in 1943 and was supported by Japan. Azad Hind declared war against the Anglo-American allied forces on the Indo-Burma Front. Its army the “Azad Hind Fauj” went into action against the British Indian Army and the allied forces as part of the Imperial Japanese Army in the Imphal-Kohima sector. The supposed death of Bose is seen as the end of the entire Azad Hind Movement. Some historians contend that the Azad Hind was a free and independent government. The legacy of Azad Hind is however open to judgment. After the war the Raj observed with alarm the transformation of the perception of Azad Hind from traitors and collaborators to “the greatest among the patriots”. Previous story Do You Know How Many Religions In India?